Where certain people see problems we see solutions. More importantly we offer solutions to the industrial sector, in this case hydraulic jacking equipment. 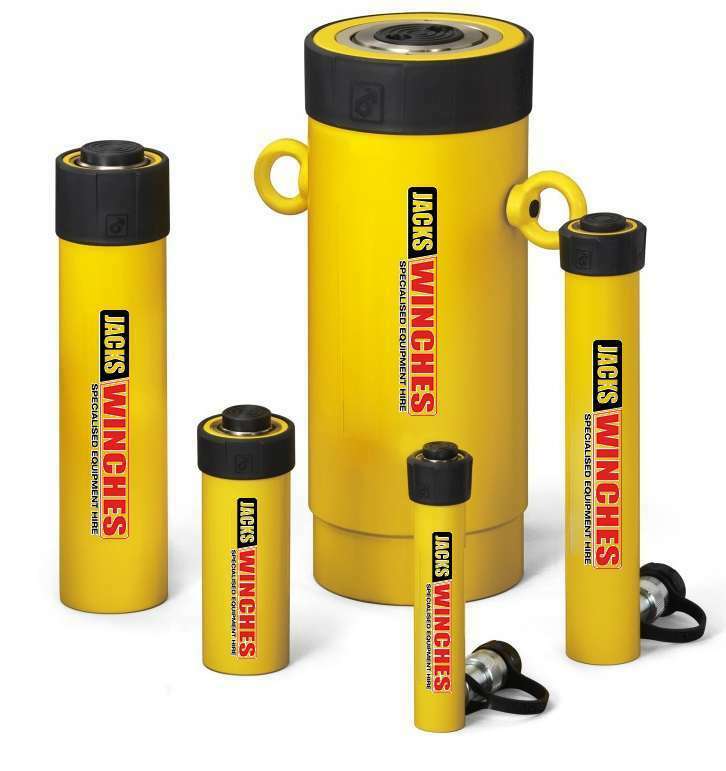 Jacks Winches’ effective hydraulic jacking equipment solutions are available from our bases in Australia and Singapore. Our fleet of 10,000psi jacks ranges from 5 tonnes to 800 tonnes capacity in varying stroke lengths up to 48” and single or double acting types. Jacks Winches uses quality SPX, Enerpac and Hydrotechh products and is arguably the largest dedicated rental provider of hydraulic jacking equipment in the region. Our jacking systems can include compression load cells, manifolds and pumps to complete your jacking system requirements. Contact us today for all your hydraulic jacking equipment needs.